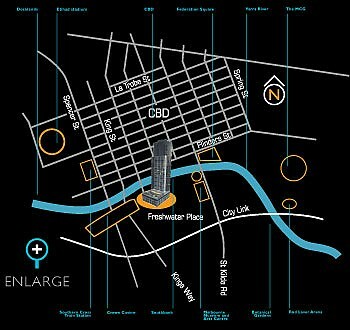 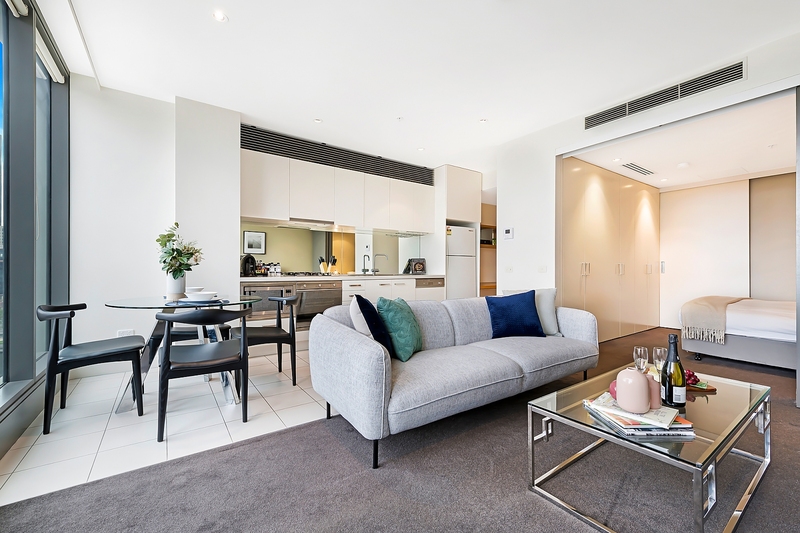 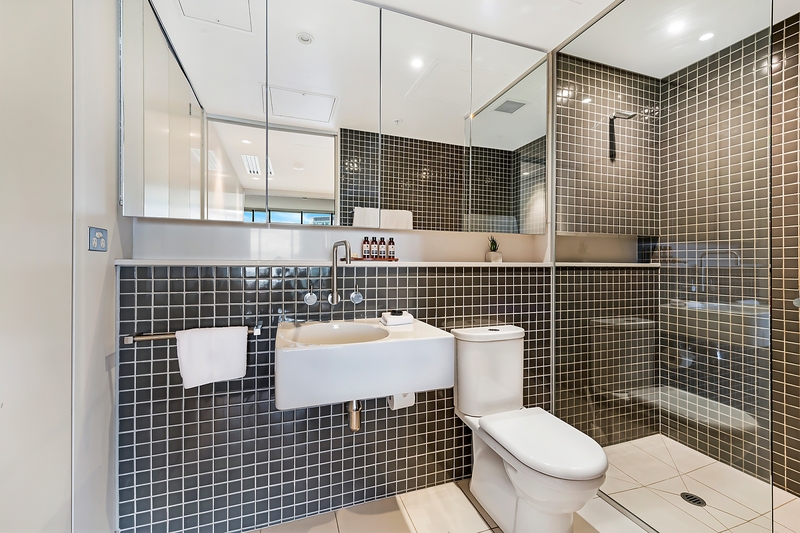 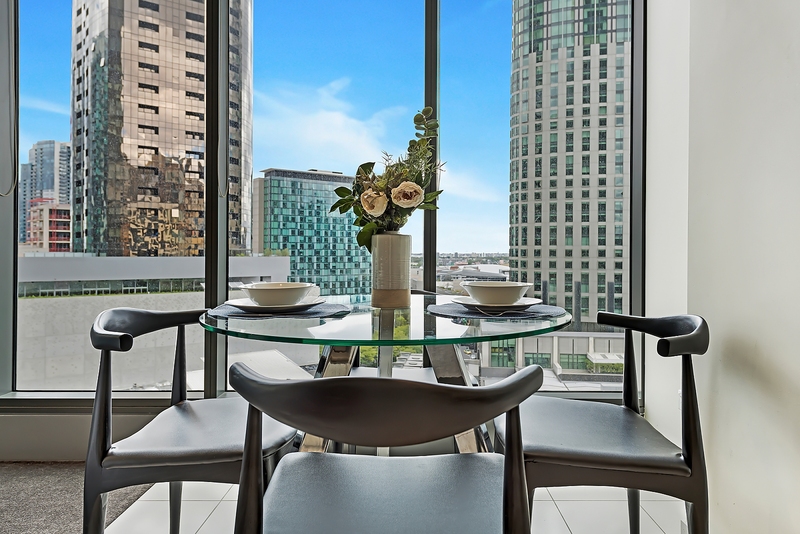 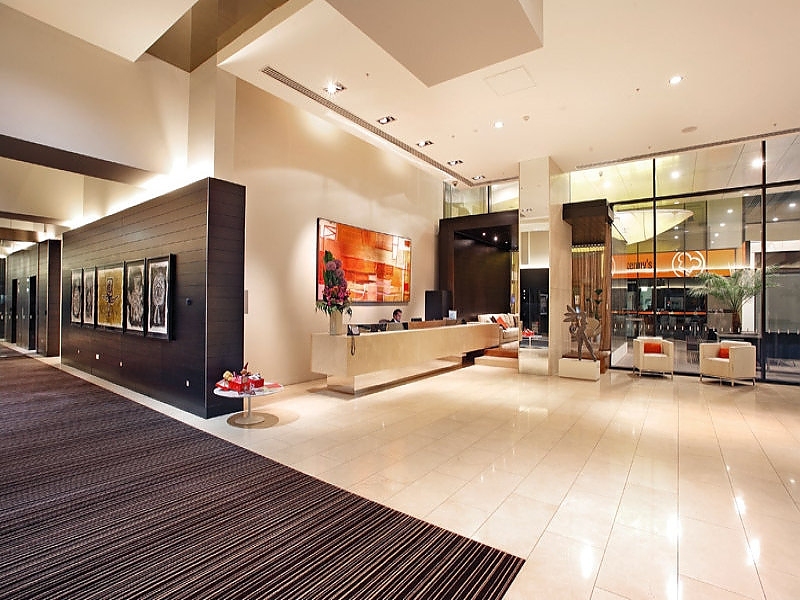 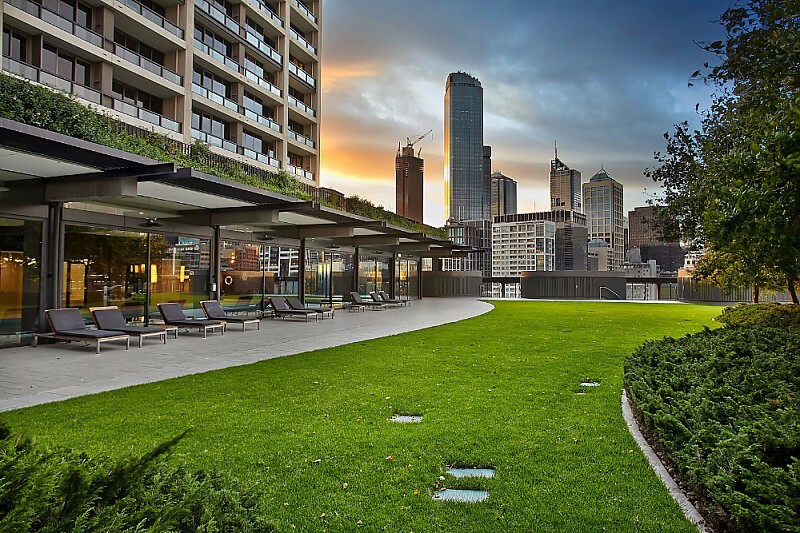 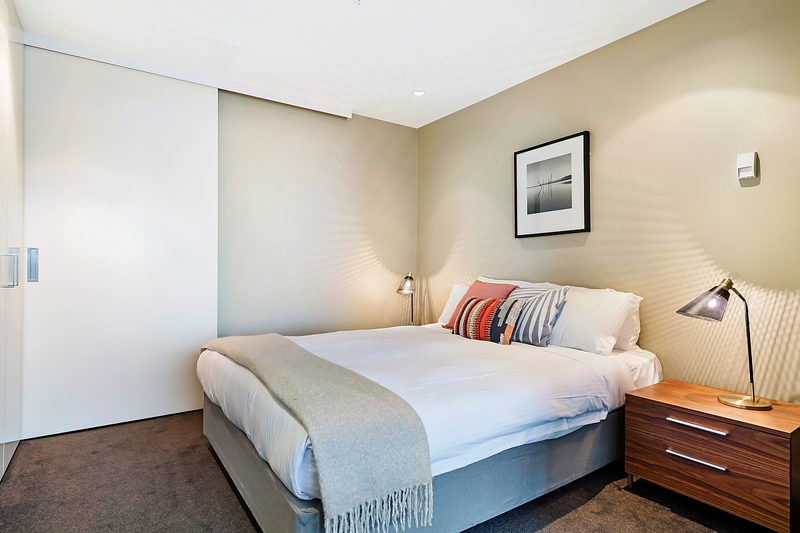 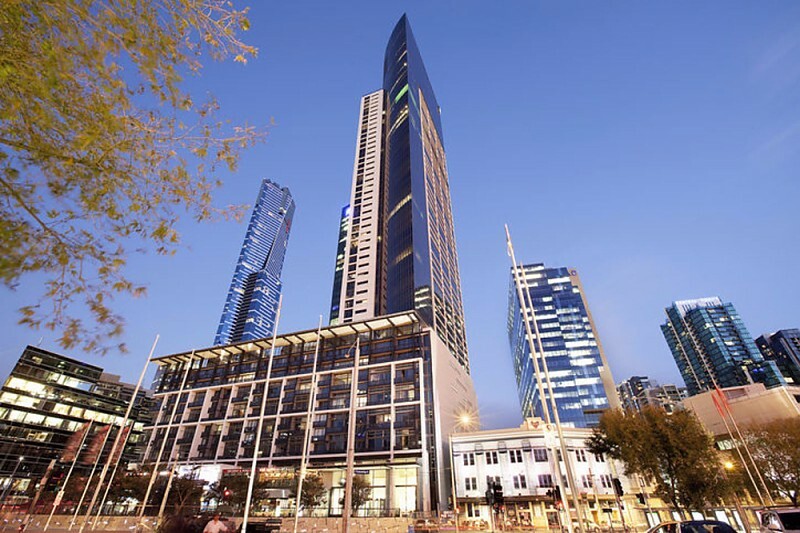 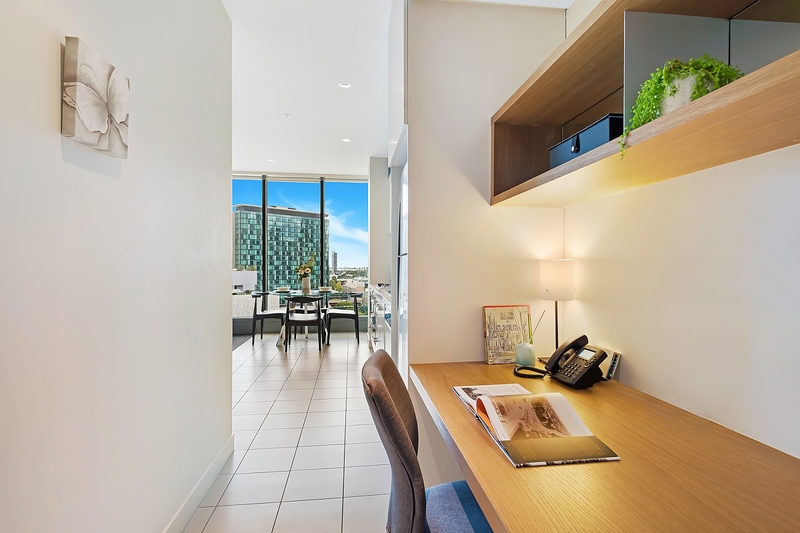 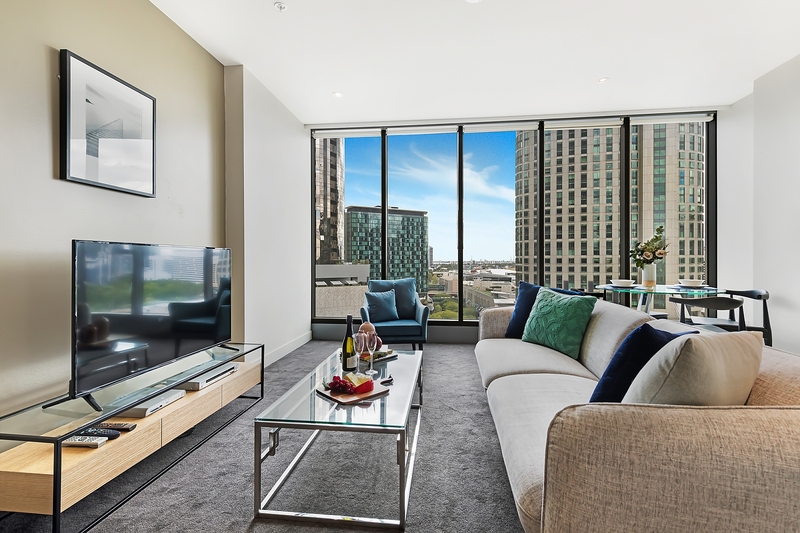 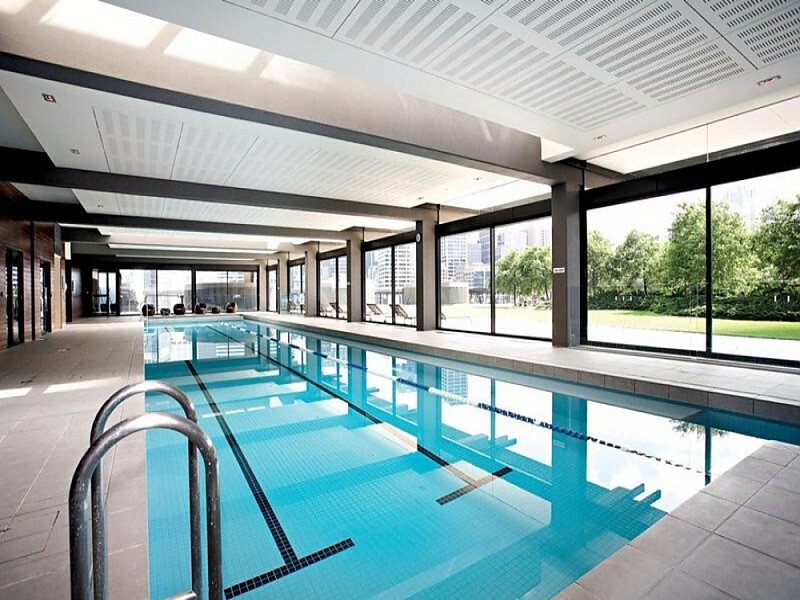 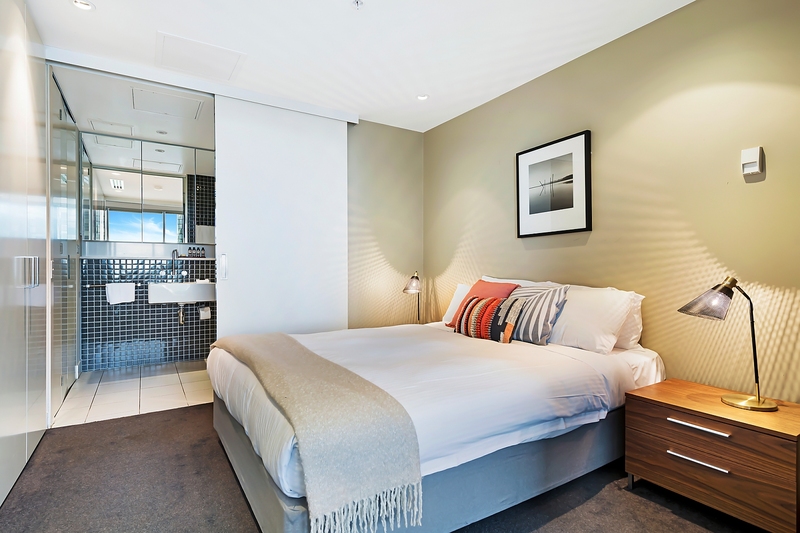 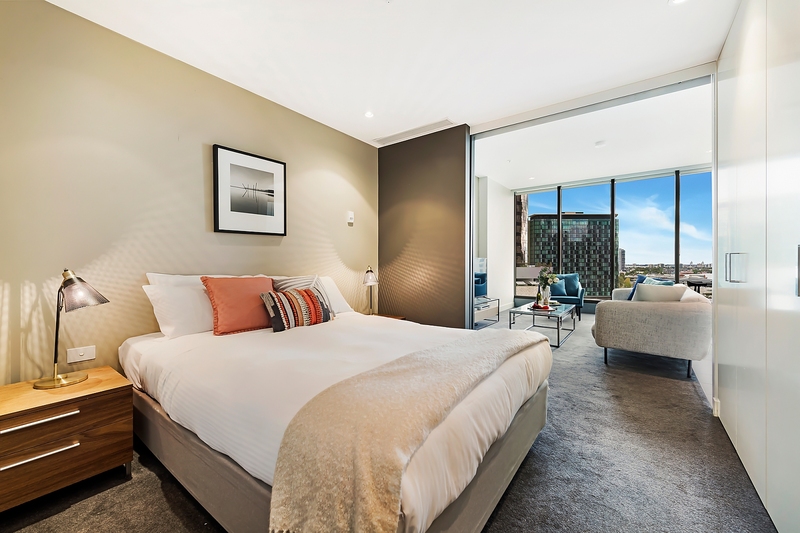 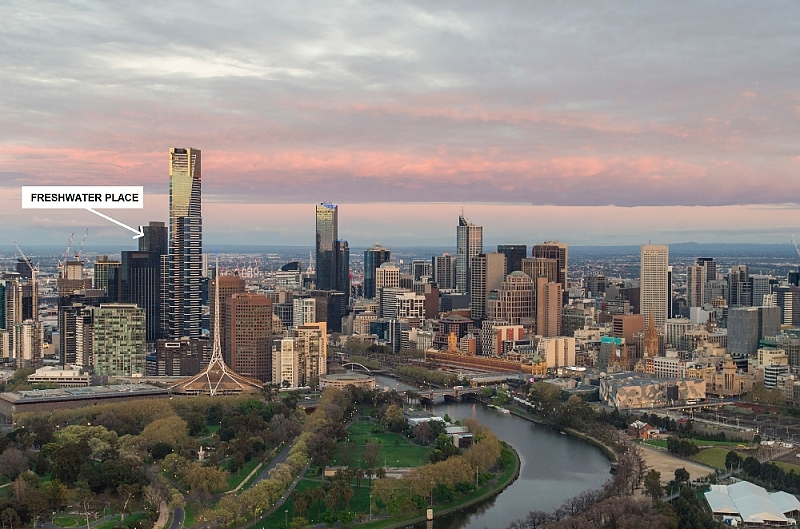 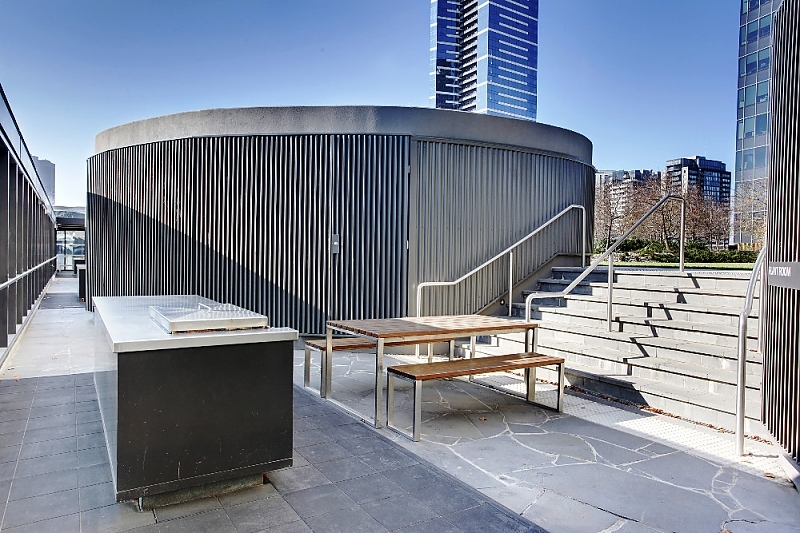 Wake to views of the mighty Yarra River from this one-bedroom, one-bathroom security apartment that’s set in a high-end complex in a prime Southbank location between Southgate and the Crown Entertainment Complex. 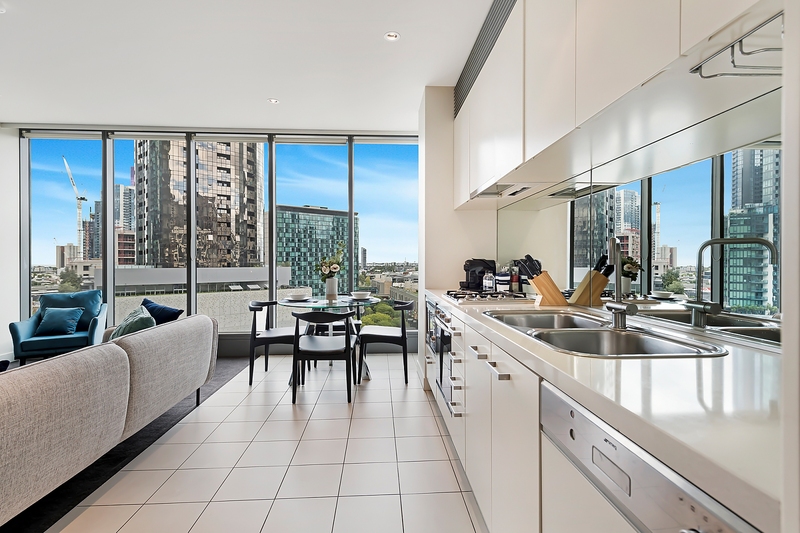 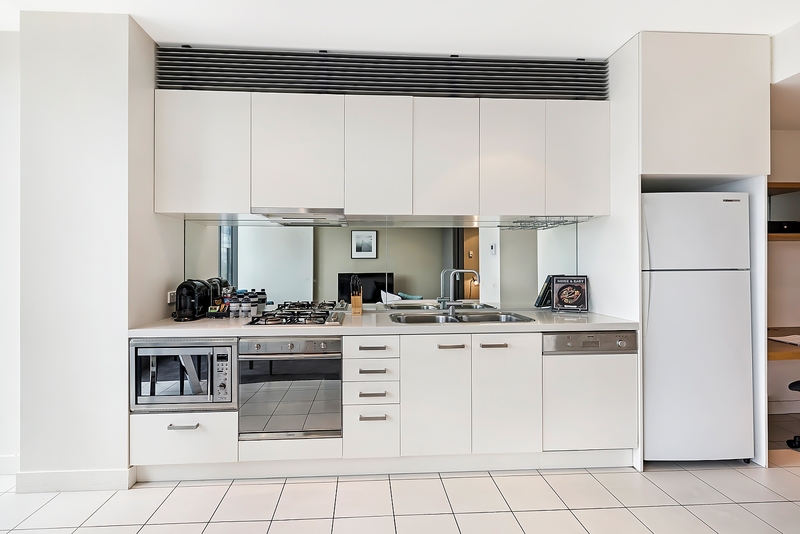 Bright city views are on show from the light-filled living/dining room with a galley-style kitchen that’s immaculately presented in contemporary white and features gas cooking, plentiful cupboard space, mirrored splashback, and quality European appliances including a dishwasher. 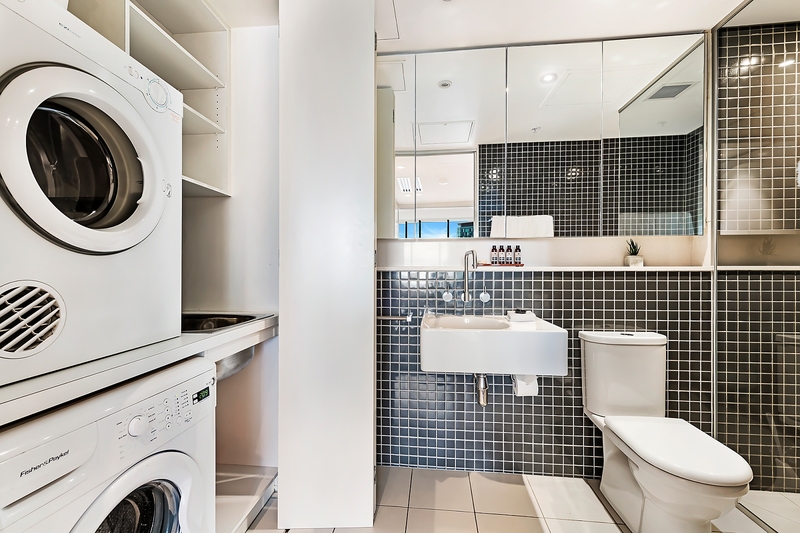 The generous master bedroom with built-in robe opens to the modern ensuite with large frameless glass shower and stylish wall-hung vanity, and a European-style laundry will save you a trip to the dry cleaners. 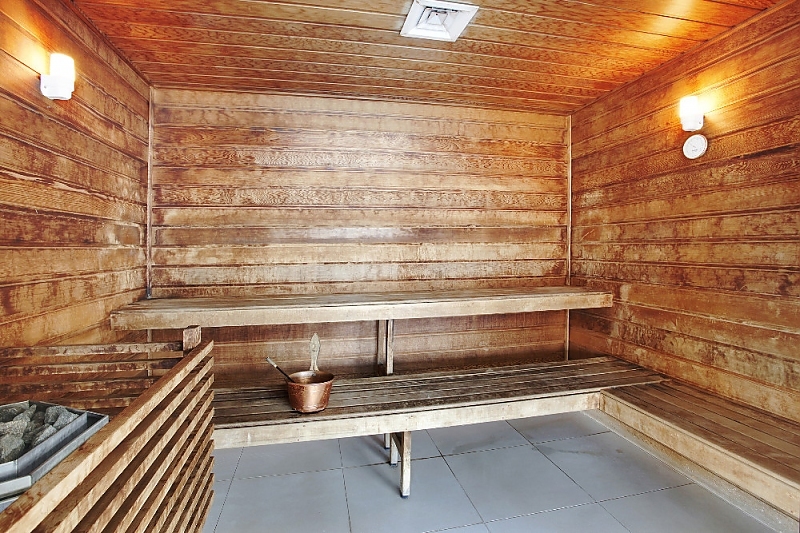 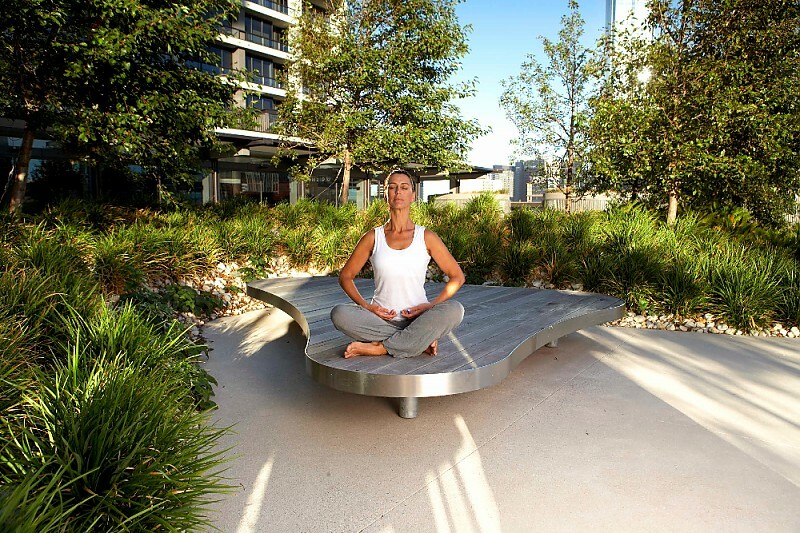 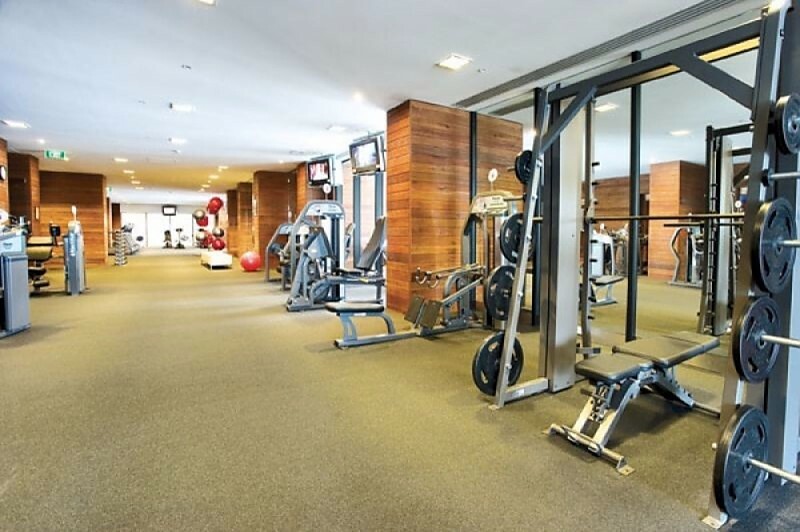 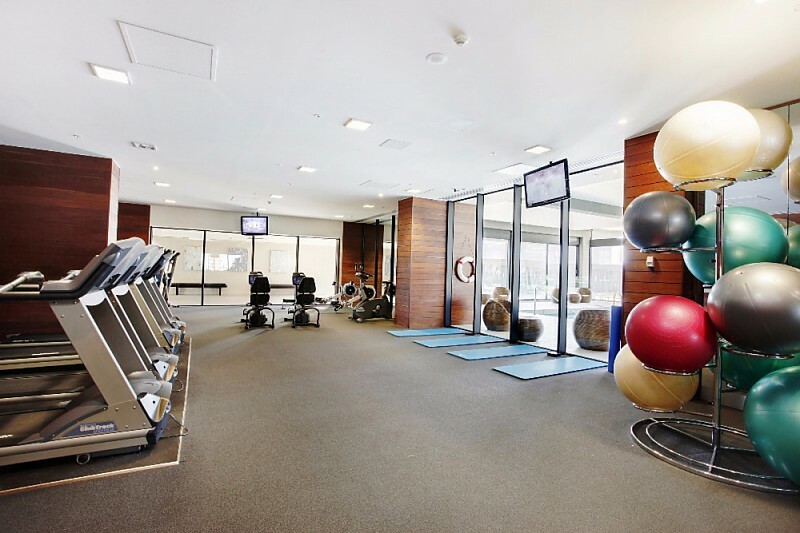 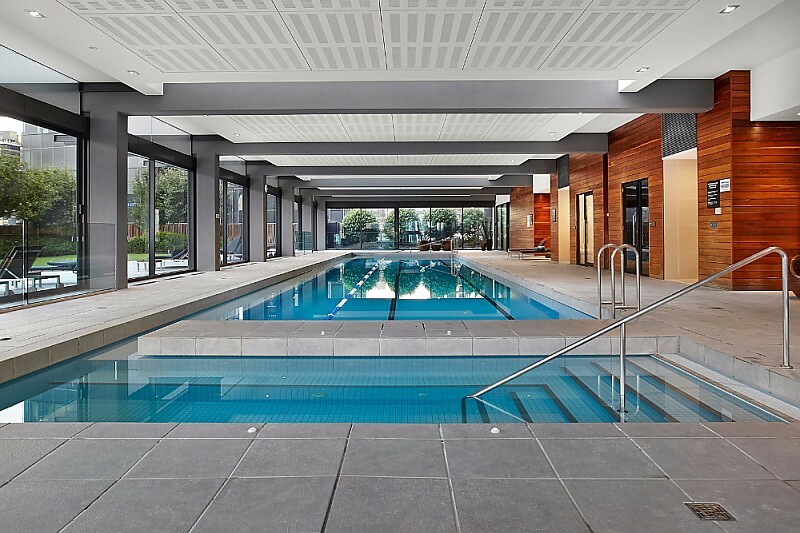 You’ll also want to take the time to relax in the complex’s manicured gardens with barbeque facilities, and stay fit and healthy with an onsite lap pool, sauna and gym.